There’s numerous types of damage that can cause cervical radiculopathy to develop. Condition where changes in the structure of the spine occur through degeneration are the most common to cause dysfunction on the nerve pathways, although trauma from an injury in younger people can also misalign the spine and cause damage. 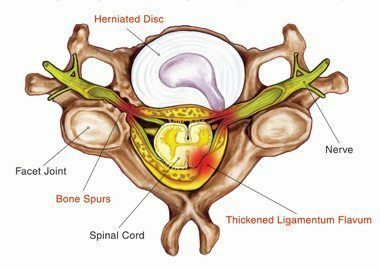 Herniated discs and bone spurs resulting from these can also compress the spinal nerve roots over time. An injury from an automobile accident, such as whiplash, can cause harm to the cervical spine as well, where the neck is suddenly jolted in a back-and-forth motion, possibly misaligning the vertebra in the neck and together with swelling and inflammation, the nerve roots may suffer damage. The irritation of the spinal nerve roots caused by compression will damage the nerves, leading to pain, tingling and loss of sensation in the hands and arms, as well as muscle weakness. 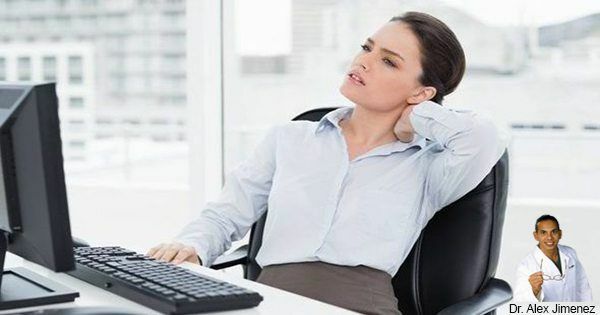 These symptoms are characteristically known when a person has experienced cervical radiculopathy but, as with any other condition or dysfunction, the symptoms vary for each individual. Compressed spinal nerve roots can occur at any level of the cervical spine. The location of the nerve that has been affected commonly determines the type of cervical radiculopathy that is diagnoses. The most common types of radiculopathy are located in the C6-C7 areas of the spine, which cause pain, tingling, numbness, and weakness throughout their upper body as well as all along the length of the arms and hands.